For a while, I had this thought that I could never wear a maxi dress. I thought “I’m too short. It’ll just make me look even shorter.” Boy was I wrong! For shorties like me, I’m 5’2, it actually does the opposite. This lovely maxi dress is the perfect summer must have. Go with classic black and white accessories as I did or throw on something with a pop of color for extra sass. It’s perfect for church, brunch or to throw on some wedges and head out for date night. This maxi is awesome quality and at a reasonable price…does it get any better? 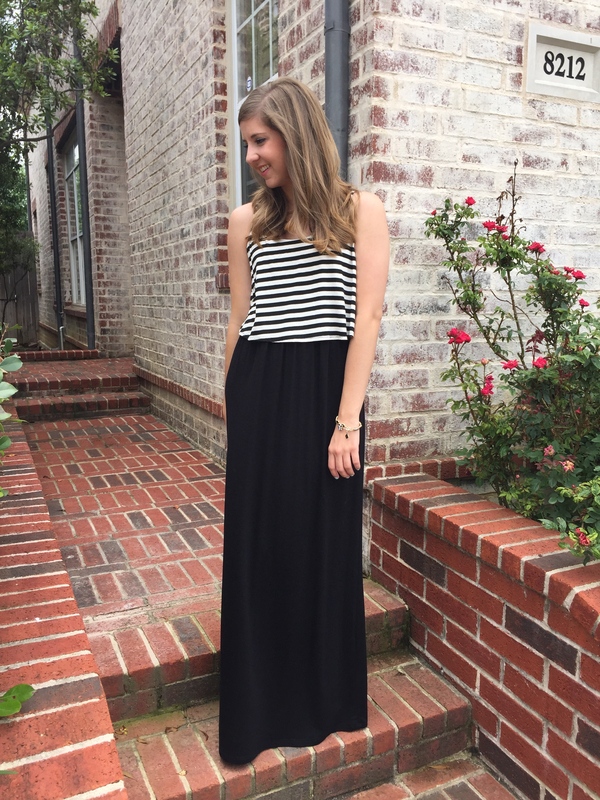 Another great thing about the Take A Stripe Back Maxi Dress is it’s bra-friendly! There’s nothing worse than wearing a strapless bra, in my opinion, and with this dress, you don’t have to! The Mint Julep Boutique has it all, from maxi dresses to rompers and tanks to kimonos. They’re an online boutique only but they strive for excellence and want you to have an online experience that mimics that of your favorite brick and mortar boutique. Their goal is to be fun, social and change the entire online shopping experience. Basically, they just wanted to make people happy. I want you guys to try The Mint Julep Boutique so head over to my Instagram for a chance to win a $25 gift card! Get this maxi yourself and show me how you style it! Awesome quality of Accessories and maxi dresses at reasonable price..